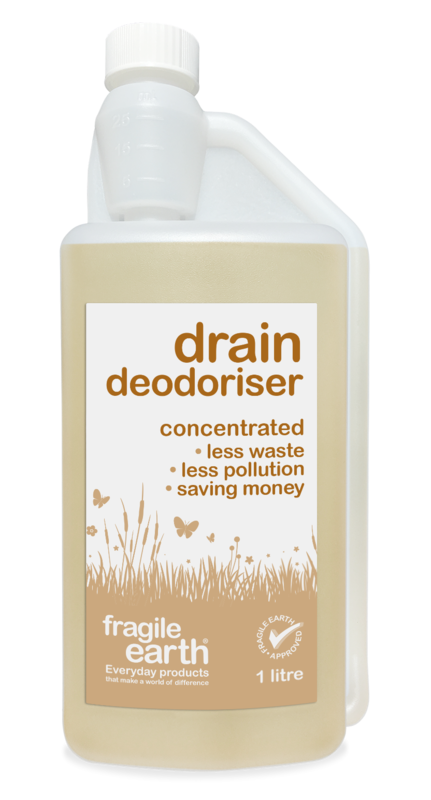 Drain Deodoriser dissolves grease, fats, oils, starches, proteins, and cellulose and digests the organic waste materials that create unwelcome odours especially effective in combatting odour producing bacteria that persist in cracks, recesses and hard to treat areas within the drainage system. 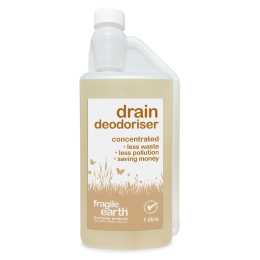 Drain Deodoriser is a multi-spore bacterial blend of synergistic bio-strains, bacterial enhancers, plant-derived enzymes, surfactants, nutrients and stimulants to provide long term residual action. Add 100ml of Drain Deodoriser to 200ml of warm water and pour directly into the drain or into the sink plug hole last thing at night. Repeat every 2 weeks or when odours are detected. pH: 7-9. Nutrient content biological nutrients and stimulants. Biodegradable formula. If swallowed consult a doctor and show this container or label.